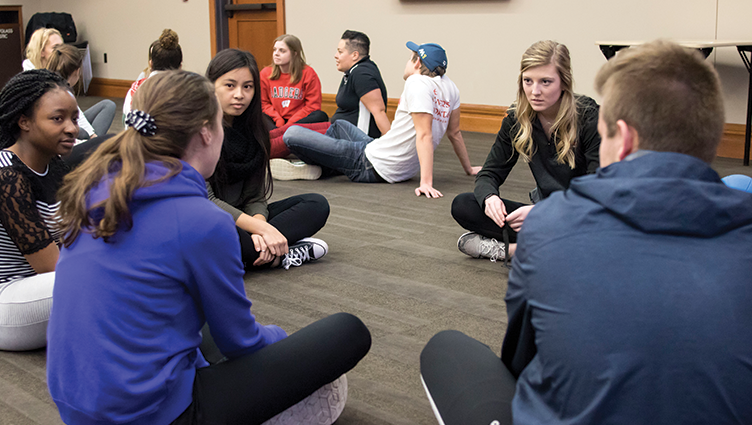 The Morgridge Center for Public Service provides a workshop for University of Wisconsin – Madison students (student organizations, classes, residence halls, etc) who are involved in community-based work. It is crucial that we think critically about our work with community members and organizations to ensure that we respect the existing work put forth by community leaders, and find ways to mobilize our privilege as a campus community to support their efforts and initiatives. This workshop will allow students to reflect and discuss social identity, group identity, power and privilege, logistics of community-based work and mutually beneficial partnerships. Just have a simple question or prefer email? Contact us at community@morgridge.wisc.edu.